Škoda Transportation has delivered to Turkey the first of a total of fourteen low-floor ForCity Classic trams. The unit is expected to reach its new home, the city of Eskişehir, on the 9th of March with the remaining ones to follow on a regular basis. 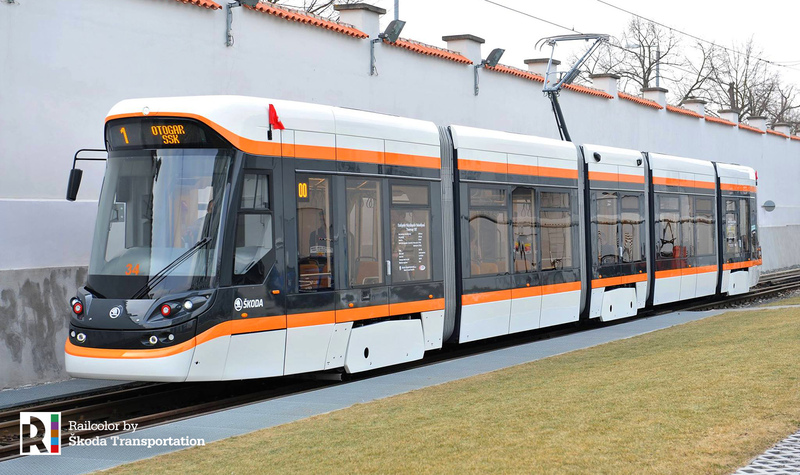 Valued at over 26 million Euros, the 14 vehicles will be fitted with powerful traction batteries, which will allow the Eskişehir operator to use the trams on a kilometer-long stretch without overhead wire, which the city is currently planning to build. The battery drive can also be used in the event of energy grid faults, thus enabling uninterrupted traffic flow. “We will test the cars not only on the routes of Eskişehir, but also in Bratislava. We will take advantage of the fact that the transport company in the Slovak capital uses the same narrow gauge lines as the ones in Turkey. A further benefit for us is the geographical proximity of Bratislava, which simplifies the testing process”, explains Václav Petr, project manager of Škoda Transportation. He also points out that the upcoming trials of the trams in Eskişehir will have an approximate duration of 2 to 3 thousand kilometers. The more than thirty-meters-long fully air-conditioned vehicle offers space for up to 276 passengers. The tramways are unidirectional and are designed for metre-gauge networks. There are no stairs in the interior of the cars, and entry is provided by four double doors, as well as by two single doors. The exterior design of the vehicles has been specifically chosen in order to blend with the colors of the city. This is the second Škoda tram delivery for Turkey in the past years. A total of 72 ForCity Classic (Škoda 28 T) five-car low-floor bi-directional trams were delivered to the city of Konya in 2014-2015.